Back in Nambour for a bit, and the hospital, last visited photographically speaking when it was barely open, has had time to mature a bit. 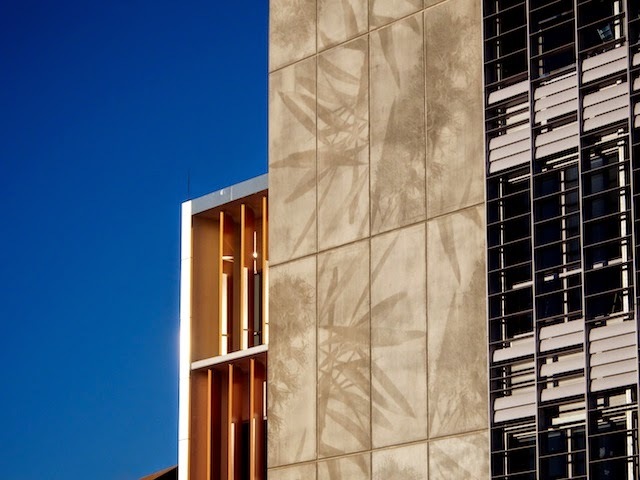 The etched concrete still looks terrific. Looks like an interesting architectural style.